all aspects of Pediatric Dentistry. With utmost care and proficiency, our doctors can do everything for your child from filling of decayed teeth and bonding of fractured teeth, to root canal and tooth extraction. And because our practice is prevention–oriented, we likewise specialize in preventive procedures such as oral prophylaxis, fluoride treatments and sealant applications. 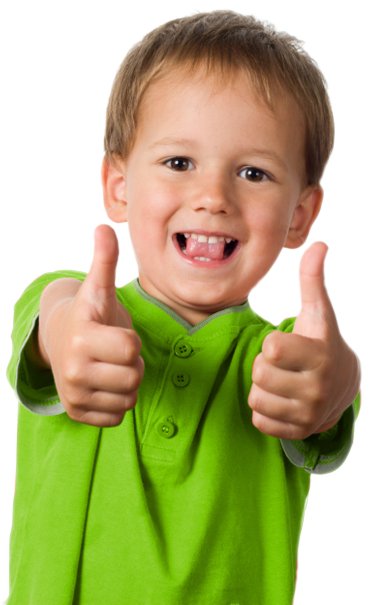 Part of our mission is to make sure your child has healthy teeth that would allow him or her to eat well and smile beautifully. Thus, we also specialize in interceptive orthodontics. With the latest in technology at our disposal, our doctors and staff will make sure that your child gets the best dental treatment possible.